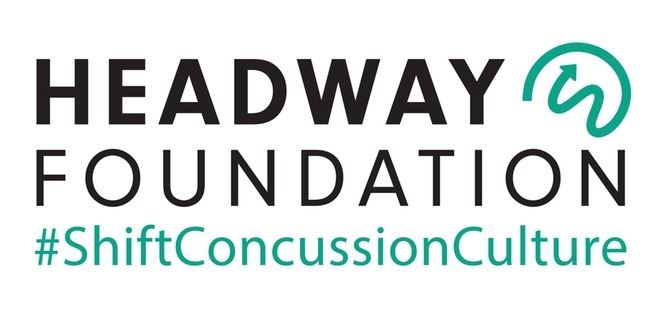 The goal of Concussion Awareness Week is to promote a safer sports culture surrounding concussions through Headway’s ‘New Tough’ Campaign, spread awareness, and provide educational resources for student-athletes. Headway encourages an athlete-to-athlete, peer-to-peer approach. Concussion Awareness Week provides a platform for professional, collegiate, high school, and youth athletes to unite in creating a positive mental shift in athletes' approach to concussions. Learn more about New Tough here. See some of our New Tough teams from previous Concussion Awareness Weekends here. We will mail you a Headway Sticker for each player on your team. Where should we mail your stickers? Is there anything else you would like to share with us? Do you have any questions? Would you like to provide contact information of your equipment manager or the person who runs your team's social media? becoming a Team Rep for Concussion Awareness Week. I will promote a safer sports culture surrounding concussions within my team, encourage my teammates to make the New Tough Pact, and execute my role to the best of my ability! Each team participating in CAW will have 1 or 2 Team Reps who will serve as Headway’s point of contact. The Team Rep will ensure everything is in place prior to the week, share concussion educational resources with teammates, and encourage support/enthusiasm around the cause (more on this below). The Team Rep is typically a member of a sports team, but among youth and high school teams, the Team Rep can also be a parent, coach, or director. Read the following ways a Team Rep can lead and then fill out the Team Rep Form to the right! Share this link (http://headwayfoundation.com/new-tough-athlete) with your teammates/players. Once your teammates/players watch the video and make the pact, we encourage you to spearhead the team's participation in creating a video and/or taking a picture, and sharing it with your friends on social media. See videos from previous years here. After you complete the Team Rep Form to the right, we will mail you (or someone else you designate) Headway Stickers for you and your teammates/players. Share the stickers and sport them on your helmets! Headway Stickers serve as a symbol and reminder of the New Tough commitment. Read more about our logo and the stickers here. Your Team Rep will receive more resources and information from Team Headway. Please complete the Team Rep form and stay tuned! In the meantime, you can check out our website for educational resources and share them with your team. Learn more about concussions, diagnostics, and treatment options here. Do you have a teammate who is suffering from post-concussion symptoms? Let them know about Our Concussion Circle.